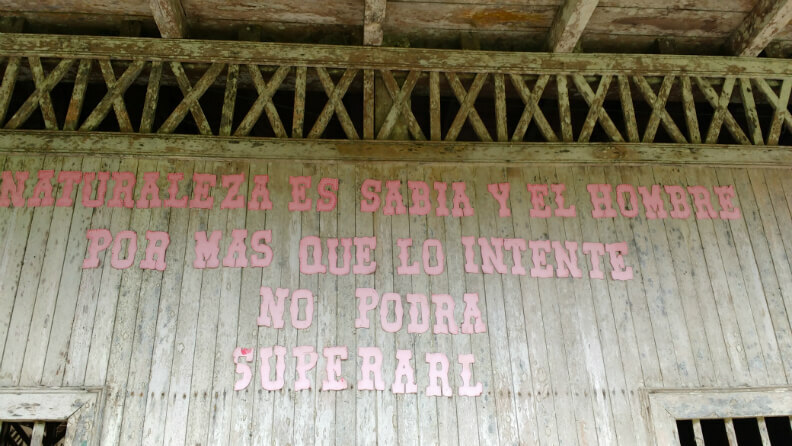 This is the final installment of “The Guardians of Mother Earth,” an exclusive four-part series examining the Indigenous U’wa struggle for peace in Colombia. The vast wetland savanna called Los Llanos stretches thousands of miles into Venezuela but it begins on the U’wa’s traditional territory at the base of the foothills below the cloud forests and paramos surrounding the sacred mountain Zizuma. For the last few years the worst fears of local environmentalists fighting on this forgotten frontline of climate change have come true: excessive exploitation of petroleum in the Casanare region on the eastern border of the U’wa resguardo helped cause the desertification of large tracts of land in the swamps and grasslands across the province. An estimated 20,000 animals have died of thirst as traditional water holes evaporated and cracked under the strain of complete ecosystem collapse. Now, the only sign of life in places that once teemed with native species such as capybaras, deer, foxes, fish, turtles and reptiles, is the occasional vulture. Seventeen years ago, in the final week of April, 1999, an international event was organized known as U’wa Solidarity Week. It was the early days of climate change awareness when the world was just beginning to understand Global Warming and its potentially devastating effects on the planet. The international campaign against the oil multinational Occidental Petroleum had hit critical-mass after the kidnapping and assassination of Terry Freitas, the 24 year old co-founder of the U’wa Defense Working Group, and the two renowned native american activists Lahe’enda’e Gay and Ingrid Washinawatok, by FARC guerillas in eastern Colombia. Protests against Occidental Petroleom in support of the U’wa were being held in eight cities across the United States as well as in London, Hamburg, Lima and Nairobi. 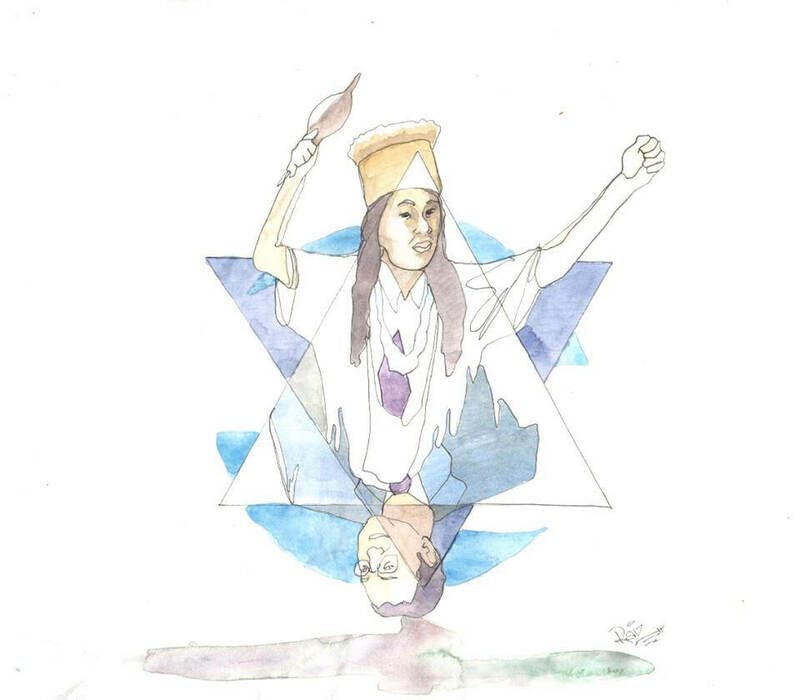 Meanwhile, in the background, the burgeoning power of a very young cyber-network called the Internet had created a space for the remote U’wa nation, heralding a new age of activism that facilitated vital connections between grassroots indigenous movements and environmental activists abroad. The Colombian army, meanwhile, received additional funds totaling billions of dollars coinciding with the kidnapping and execution of thousands of Colombian civilians, whose bodies were then dressed up in guerrilla uniforms to artificially inflate body counts, a crime known as the “scandal of false positive”. Between 2000 and 2010 the Colombian military kidnapped and executed 164 civilians in Arauca, 122 in Boyaca, 301 in Norte de Santander, 209 in Casanare, the four provinces bordering the U’wa Nation’s territory. This particular environmental disaster is a symptom of a larger problem in Colombia with roots that reach deeper into a much darker cause. Across the country indigenous men, women and children from tribal nations both large and small are being murdered and displaced to make-way for mega-mining projects. In the Sierra Nevada mountains, the Kankuamo Indigenous Peoples were the victim of twin arson attacks on separate religious temples two days after they canceled consultations with the government to oppose 400 mining projects in the region that will affect 100,000 indigenous people. 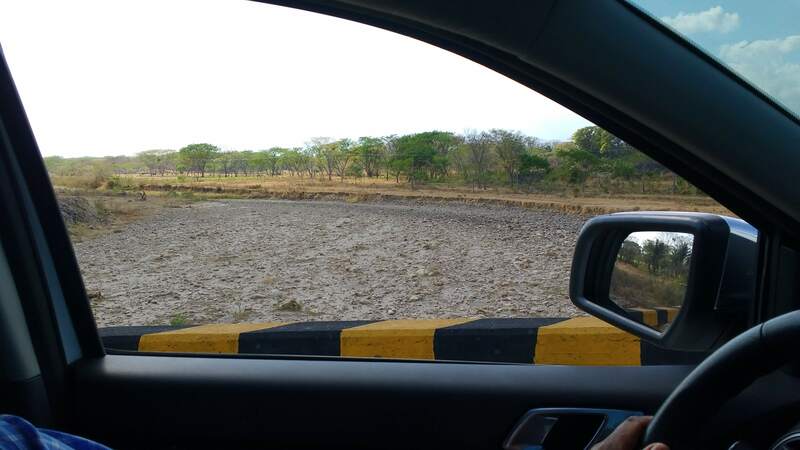 In the northern state of La Guajira, the multinational el Cerrajon mine is diverting 17 million liters of river water daily during a severe drought that has decimated rural people’s livestock and responsible for indigenous Wayuu children dying of thirst. The ability of the Colombian government to hold multinationals to account for crimes against the civilian population, Indigenous Peoples and the environment is limited while the country attempts to rebuild its crippled economy and frail state institutions after half a century of war. Despite this, predatory multinationals are currently suing the Colombian government for billions of dollars whenever it attempts to protect the environment: such as the $16.5 billion lawsuit that U.S. Tobie Mining and Energy launched against the government when it declared an area in the Amazon rainforest a National Park, where the U.S. company owns a mining concession; or the lawsuits launched by multinationals protesting the new law banning mining in the country’s paramos. It was the multiple bomb attacks on the Caño-Limon-Covenas inside U’wa territory in March and April 2014, which not only showcased the indigenous nation’s vulnerability but also its strength. The subsequent 40-day protest in which petroleum engineers were prevented from accessing the bomb-site to fix the ruptured pipe cost the Colombian government $130 million dollars. The concessions that the state proceeded to make to the U’wa in exchange for stopping the protest included the dismantling of the gas exploration project in Magallanes; other points in the agreement have since been ignored. 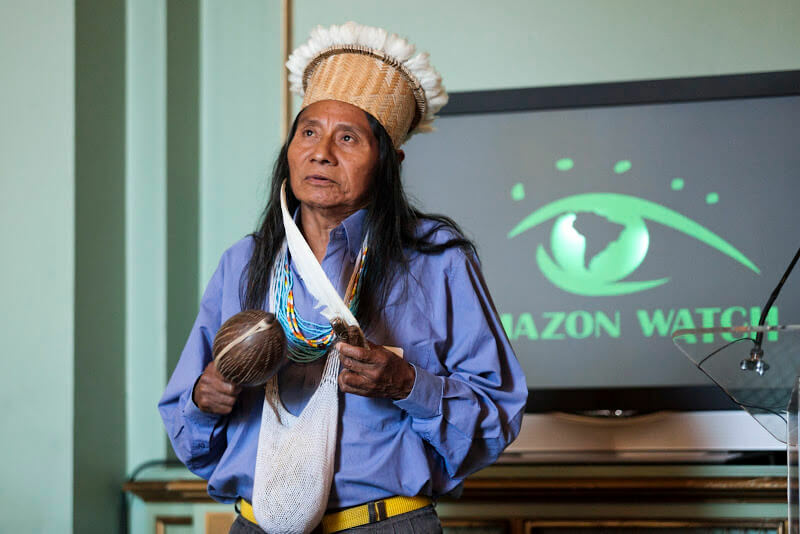 A year later, the pipeline was bombed again on U’wa territory, contaminating the Cubogón and Arauca rivers and creating an environmental emergency that left the entire state of Arauca downstream without water. The Colombian government had still not fulfilled its side of the deal leading 40 organizations to sign an open letter to President Santos reminding him of the agreement. At the end of March, 2016, two weeks after another twin-bomb attack on the Caño-Limon-Covenas, and only days after the U’wa mobilization surrounding the Cocuy National Park received the threatening photograph of the armed-sheep, Amazon Watch issued its highest red-alert to warn its network of concerned global citizens of the dangers facing the protestors. 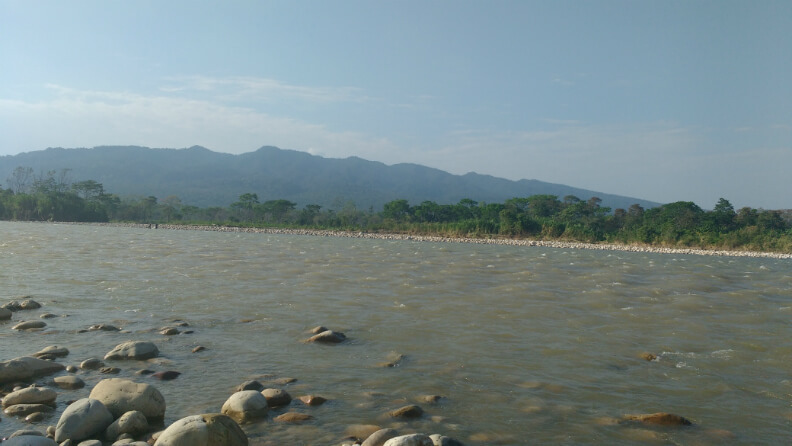 The International Urgent Action has so far received 5,000 signatures from people around the world supporting the U’wa’s demand of a direct dialogue with Colombia’s former Minister of Environment. The requests were ignored; however, just two weeks ago, on April 25th, President Santos replaced the minister with Luis Gilberto Murillo, the former Governor of Choco province, who is himself a victim of the war after being kidnapped by paramilitaries. The new Minister for Environment is now presented with the opportunity to mend relations with the U’wa Peoples by handing over the administration of the Cocuy National Park, an act that would protect its precious ecosystems while providing a source of income to the communities via sustainable and responsible tourism. The government’s obligations under Colombian law, however, do not end there. The U’wa still urgently need access to better health-care facilities and clean drinking water to prevent the spread of tuberculosis and dysentery — two basic human rights that the international community can pressure President Santos to fulfill. 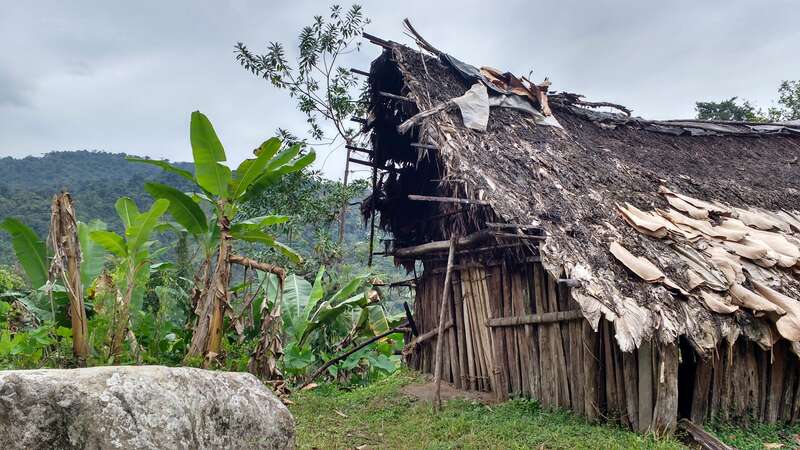 As the U’wa leader Berito recovers from tuberculosis in his wooden shack in the cloud forests on the eastern border of the United U’wa Resguardo, he is content at having officially changed his name late last year. The indigenous leader passed IC an original copy of his signed and stamped identification papers, issued to him a year earlier when he traveled to Bogotá to change his name from Roberto Cobaria, the name arbitrarily placed on him by Catholic missionaries. Now, the Colombian government must recognize him by the same name his people call him – Berito KuwarU’wa KuwarU’wa – the wise and powerful Werjayá whose life work has been to guide the people who know how to think and speak through the most violent and longest running armed conflict on the South American continent. In the coming weeks or months when the FARC and Colombian government are expected to finalize a historic peace agreement, the war will not be over for the U’wa people. The Paramilitaries eventually dispersed, more BACRIM may be imprisoned, most of the FARC will probably demobilize, the ELN may lay down arms, the state military might be disciplined with court-martials, but the Colombian government will never give up its relentless thirst for the sacred blood of Mother Earth underneath the ancestral lands of the U’wa. Once again the U’wa are cornered on all sides with their backs against a cliff, but the question remains if the indigenous group will jump or if they will be pushed.